We provide service for all types of roofs and can recommend and install the right system for your commercial building or multi-family complex. We have the experience to accommodate your waterproofing needs for your commercial or industrial building by providing you the best service. We are dedicated to repairing and maintaining your commercial roof with a team of highly experienced professional repair technicians and inspectors. 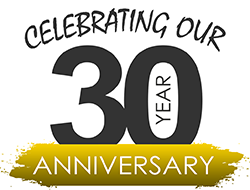 ADCO Roofing and Waterproofing was established in 1989 with an emphasis on providing our clients with excellent service, workmanship, and the best products on the market today. To achieve this requires in-depth knowledge of roofing technologies, a well equipped, organized and dedicated field and office personnel. We are servicing commercial, industrial, office buildings, and multi-family residential homeowner associations. Give us a call and put us to the test. You will not be disappointed! "We've started working with ADCO back in 1998 and have been using them for all of our commercial roofing needs over the last 16 years. They have always provided us with the very excellent craftsmanship at reasonable price, while putting customer service first." "We've been working with ADCO Roofing & Waterproofing for over 5 years now. ADCO has been installing new multi-family building roofs as well as providing us with continual maintenance. As a property management company we value credibility and trust, both of which we have always found while with ADCO. They never try to sell us on the most expensive option, but advise us with the best options for our company. ADCO has always responded quickly to any issues we may face and we are very happy with the service we have received from them." "I negotiated the contract to re-roof the slopping roofs with ADCO. They were able to provide me with a 4 year payment plan to immediately get to work on the long-term project consisting of 8 commercial buildings. The project was completed ahead of schedule by a full year, and by planning ahead and locking down the pricing we saved a great deal of money! I will be using ADCO moving forward for ALL of my roofing needs and they will begin working on the my flat-reroofing repairs needed as soon as we complete our payments on their work already done." "ADCO Roofing is a great company that came highly recommended through a construction consultant. They were recommended for roof repairs, replacements, maintenance and anything dealing with commercial and industrial roofing. As a Board Member of the Villa Napoli Homeowners Association in Marina Del Rey, we have engaged ADCO Roofing to do all of roof work for the past 5-6 years. ADCO has been under contract to install the single ply Sarnifil roofs on four of our buildings at the Villa’s and has done an outstanding job. Spearheaded by Andrew Triphon, from the superintendents and crews, they all have worked very well with the homeowners during the roof installations and have encountered nothing that they could not handle. This makes it easy on the Board Members, as we did not receive any complaints. On behalf of our Association, we have had only positive feedback from our homeowners since we’ve been with ADCO. Their delivery of service, quality of work, representation of various manufacturers including warranties and pricing has been of the utmost professional. We would highly recommend ADCO Roofing. Thanks Andrew and Omar for all that you do and the hard work you put in to make roof projects as painless as possible!!!" "I have worked with ADCO Roofing and Waterproofing for 3 years and have used them for all of my industrial roof replacements and maintenance needs and am very happy. They are responsive to any issues I may come up against with a very friendly and courteous staff." "We've worked with ADCO Roofing and Waterproofing for over 20 years and have found their workmanship to be outstanding. They are a customer service orientated company and will always stand by their work." "I have worked with ADCO Roofing and Waterproofing for over 2 years. They have an excellent response time, follow-up and follow-through. The company’s employees are very knowledgeable with great customer service. ADCO has always provided us with a fair and a pleasant experience."